Check out these great tools for therapy! GuidedVideo is regularly $29.99 and as of today is still free. Get it quickly! This extremely useful tool could be used to reinforce a variety of speech and language skills. 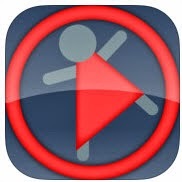 The description at the iTunes site may leave you wondering, but check out video at the website GuidedVideo.com and you will definitely want this app. 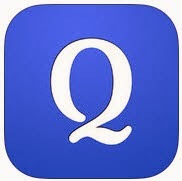 Quizlet allows you to create flashcard sets for your students that are not just flashcards. I find making the flashcards on the Quizlet website is easier and you have more options. Pictures and voice can be added. 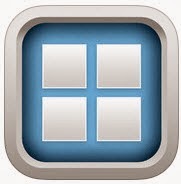 Log into your Quizlet account on your iPad to see the flashcard sets that you made on the website. Games provide fun reinforcement for students to practice vocabulary and a variety of skills. 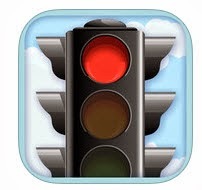 AND there are many flashcards/activities made and shared by SLPs - search "speech therapy." Educreations was my favorite find in 2013. Check out my earlier post to see how it can be used in speech and language therapy. 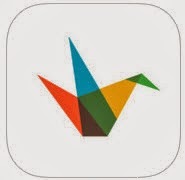 Haiku Deck Create stories with photographs for your little ones or let older students easily create their own stories using their own photos. Create and talk about "how to guides," make articulation decks (or ask your students to make them) or use these easy to make presentations to teach new vocabulary. Bitsboard is a customizable app for teachers to create flashcards and more with images and audio. 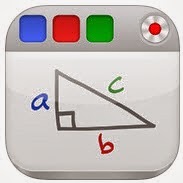 The free Bitsboard app comes with 3 FREE games - Flashcards, Explore, and Photo Touch. Other games can be purchased for $.99 each or all for $2.99. However, the free version has so much to offer and is ideal for language learning. Use the many photographs to create your own activities or choose one of the ready-made activities in the "Shared" catalog. 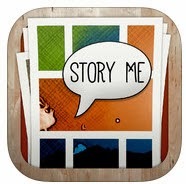 Create comics with Story Me. Turn your photos into cartoons and add speech bubbles or captions. Students can create comics of themselves, story characters and more. This app is perfect for all kinds of vocabulary activities. Take pictures of students performing actions and put the verb in the speech bubble. When teaching synonyms, take one picture and write a synonyms in each several speech bubbles. Just think of all the options! !